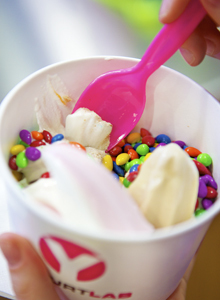 YogurtGab | Dishing on the mixology of it all! Dishing on the mixology of it all! A fall treat for your favorite prof! 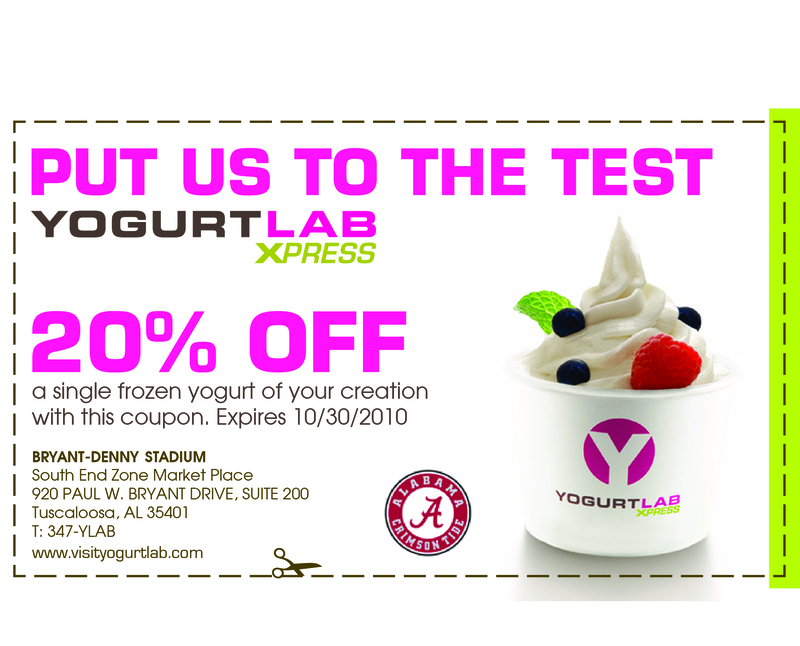 University of Alabama students: We’re calling all faculty to put YogurtLab Xpress to the test! 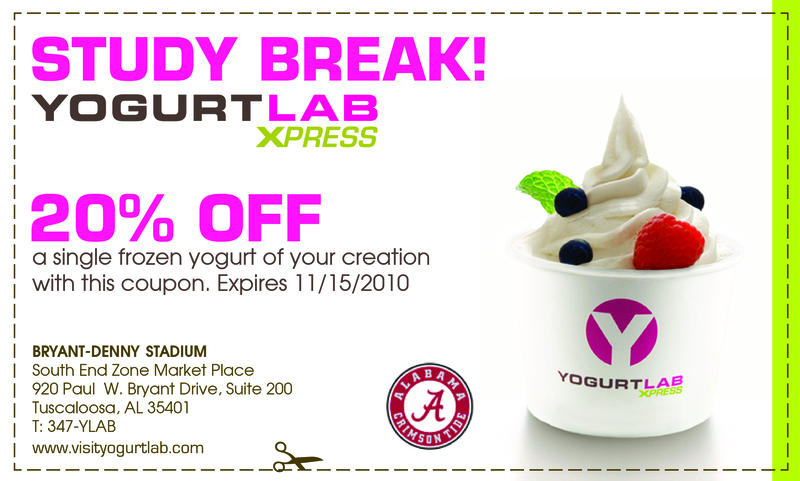 To help us spread the word, here’s a sweet deal for your favorite professor! Fall for our NEW arrivals, bring a friend for a BIG discount! 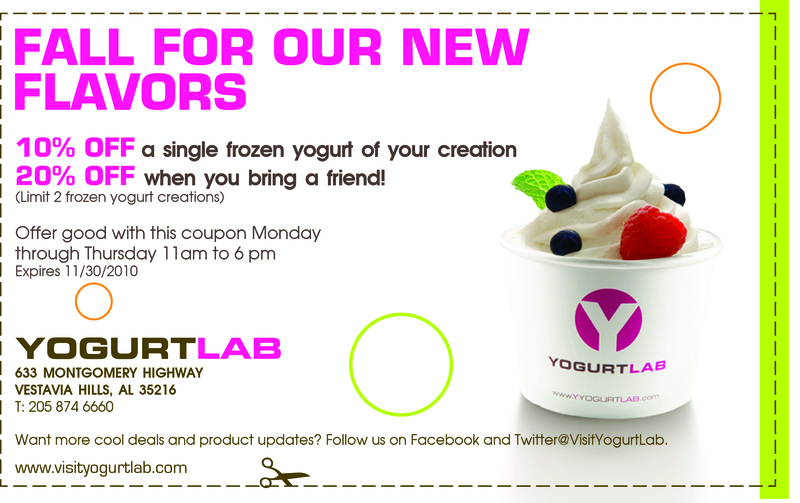 On Wednesday, Oct. 27, Pumpkin, Snickerdoodle, Cake Batter and Cappuccino will make their debut at YogurtLab in Vestavia Hills … We don’t want you and your BFF’s to miss these yummy new fall flavors! So here’s a coupon good through the end of November to experiment often! Monday to Thursday 11 a.m.-10 p.m.
Friday & Saturday 11 a.m.-11 p.m.
Join us for our kick off!